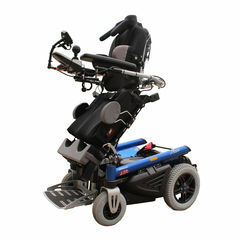 Standing is now possible at any time with the Xeno Powered wheelchair. Moving from a sitting position to a standing position gives the user the freedom they deserve for everyday activities and physiologically important stretching of the entire body in a short time has a positive effect on circulation and protects joints. 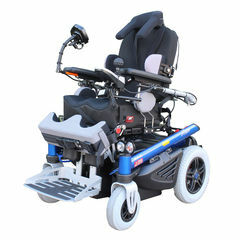 Supporting belt and pad systems make safe driving and standing possible - even at the same time. The Xeno also has the new innovative one wheel steering S³ (single servo steering), which takes up an ideal amount of space and has excellent driving features. 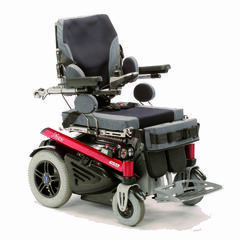 For more information about our paediatric manual wheelchair range, contact our helpful staff today!